Apple, famous for its Mac computers and iPhones, spends millions to create the image of a benevolent corporate giant that, while making money, does more than its part to better the world. But a new study by China’s Institute of Public and Environmental Affairs sharply contradicts this claim. The report, The Other Side of Apple, slams the corporate behemoth for mistreating its workers and poisoning the environment. The IPE investigated, clearing away “some of the dense fog that enshrouds” the highly secretive company. IPE was able to piece together a list of “suspected” suppliers. It seems certain that these suspects actually do supply Apple, for several reasons; employees, for example, mention that Apple representatives came to the factories often. 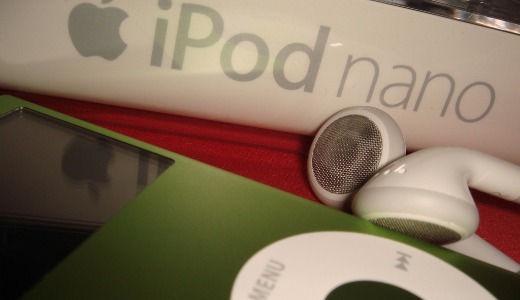 Further, many of the products were produced with the iconic Apple logo. Suppliers – Apple has no factories of its own – routinely violate China’s “Law on the Prevention and Control of Occupational Diseases.” Several manufacturers replaced alcohol, used to clean parts, with n-hexane, a chemical that works better than alcohol – but poisons workers. Because of the chemical in suspected supplier Lian Jian Technology’s plant, Suzhou No. 5 People’s Hospital admitted 49 employees who fell ill. More employees were likely poisoned, but many were pushed out before they fell ill, and Lian Jian forced them to sign papers saying they would not hold the company accountable. In these factories, the workers, often women in their teens or 20s, were forced to work with the poison in unventilated rooms. Xiao Zhan, a 19-year-old who was poisoned at Yun Heng Hardware and Electrical, where Apple logos were polished, described in her blog how she and her coworkers became more and more sickened by the poison, until they eventually needed intensive medical treatment. The local government checked 5,044 workers, finding that 72.5 percent had been forced to work more overtime than legally allowed. Many have blamed the harsh working conditions on the suicides. Workers at Dafu, another plant, were forced to undergo extreme humiliation. Female workers were searched – they were forced to remove clothes – in full view each time they left work. “Watching a younger girl stand on the inspection platform with her pants suddenly falling down and run away as everyone laughed at her,” said one worker there, “my eyes filled with tears and I did not laugh.” It wasn’t until Chinese authorities forced the plant to establish trade unions that conditions began to improve. Further, many of these suppliers have been cited by Chinese authorities for far exceeding the amount of toxic waste allowed by law. How can Apple get away with this? the IPE asked. The answer: the “culture of secrecy,” doesn’t only hide trade secrets, but suppliers’ identities – and abuses of workers and the environment. China’s NGO network, the Green Choice Alliance, monitors corporate polluters. Numerous companies, even Wal-Mart and Nike, are working with the GCA and “many best practices have emerged.” About 330 companies so far are participating – but not Apple. Apple stands alone even among other IT companies – which routinely cause problems of heavy metal pollution – in its evasiveness and refusal to work with green groups. Socialist China has empowered its trade union movement – which is backed by the government – and has been attempting to strengthen regulatory laws. However, even the Chinese state has great difficulty in enforcing fines and penalties when companies – primarily foreign – violate labor and environmental laws. As the report notes, the problems in China are typical of many developing countries, which “make and export cheap products; however the pollution is then dumped in their own backyards.